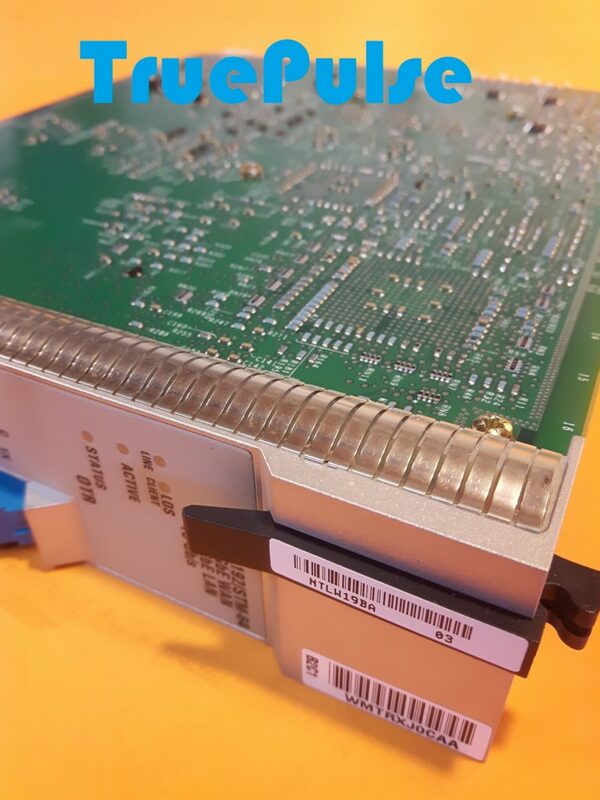 TruePulse is trying to obtain Nortel Optera NTLW19AA and NTLW19BC modules. Both modules are part of Nortel’s Optera Metro 5100/5200 product family. The 5100/5200 platform supports the transparent transport of optical wavelength-based services in their native format, extending the optical connectivity from metro core to metro edge, including customer premises. Common client and line interface cards are used for the Optical Metro 5100 and 5200 which provides simple interworking, low sparing requirements and overall operational savings. In order to benefit from maximum wavelength usage, several sub rate multiplexing interfaces combine different services onto a single 2.5-Gbps or 10-Gbps wavelength in order to offer low cost per service. The NTLW19AA, HECI code WM1T50V, is a 10G/OC-192/STM-64 DWDM OTR (optical transponder) for Band 1 Channel 1. The NTLW19BC, HECI code WMTJ1Z0, is a 10G/OC-192/STM-64 DWDM OTR (optical transponder) for Band 2 Channel 3. As the Nortel optical transport product line was sold to Ciena, these boards may also be known as the Ciena NTLW19AA and Ciena NTLW19BC.